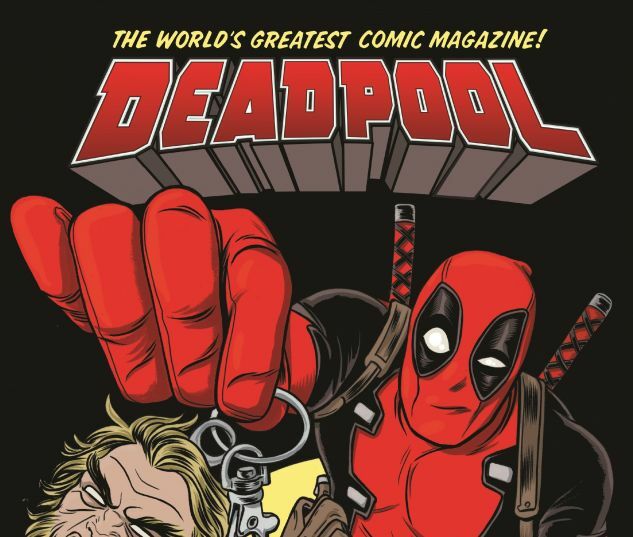 Mayhem and magic, Deadpool-style! It starts with Sabretooth - but when two unkillable killers go to war, the battle might never end! 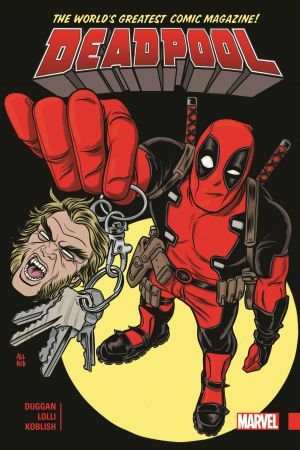 Hidden secrets, healing factors and horrific violence collide in Wade Wilson's misplaced quest for vengeance! Meanwhile, the Mercs for Money make mad moolah in the mouthy one's name while Wade tries to come to terms with being a global hero and an Avenger after a lifetime as an inveterate degenerate. And Deadpool 2099 returns - but who is Zenpool 2099? Then, DP plays host to an epic crossover with Daredevil and Power Man & Iron Fist! And for his next trick, the Merc With A Mouth tries to fix one of Doctor Strange's messes, when the Empirikul bring their war on magic to Shiklah's Monster Metropolis! COLLECTING: DEADPOOL (2015) #8-13, DEADPOOL: LAST DAYS OF MAGIC #1.